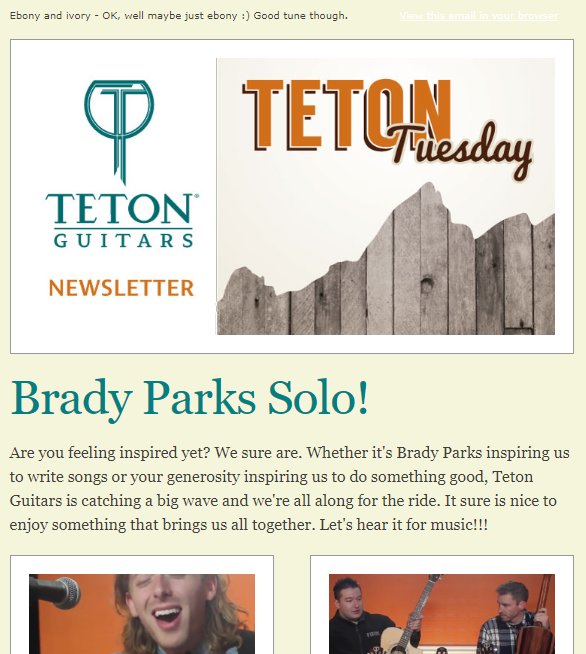 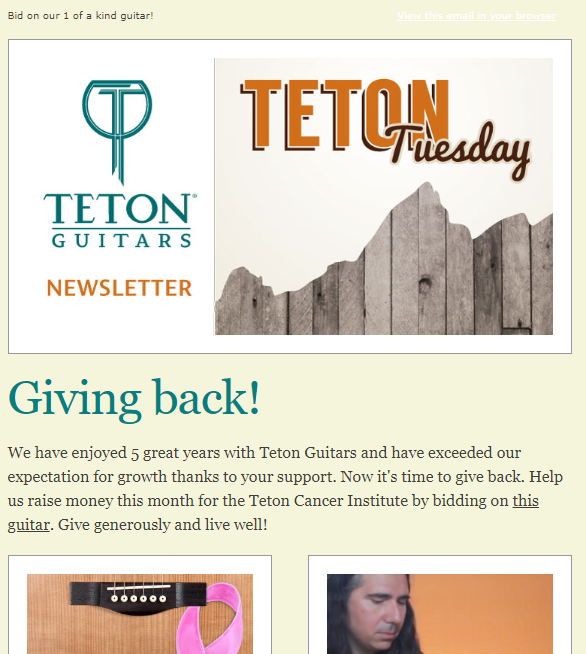 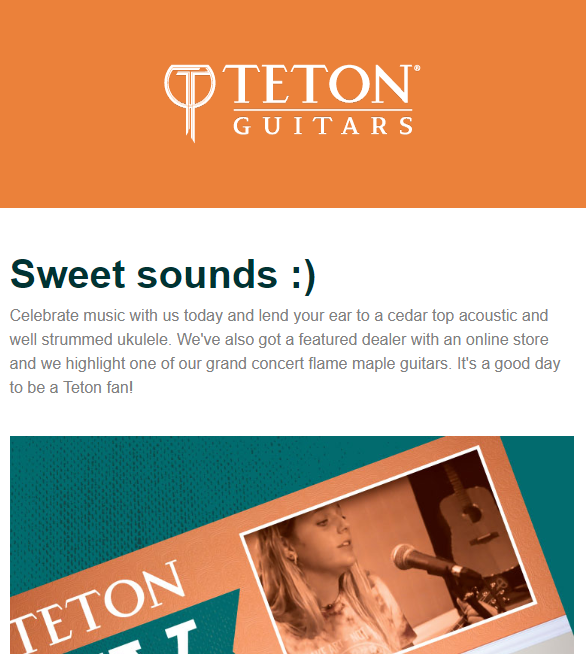 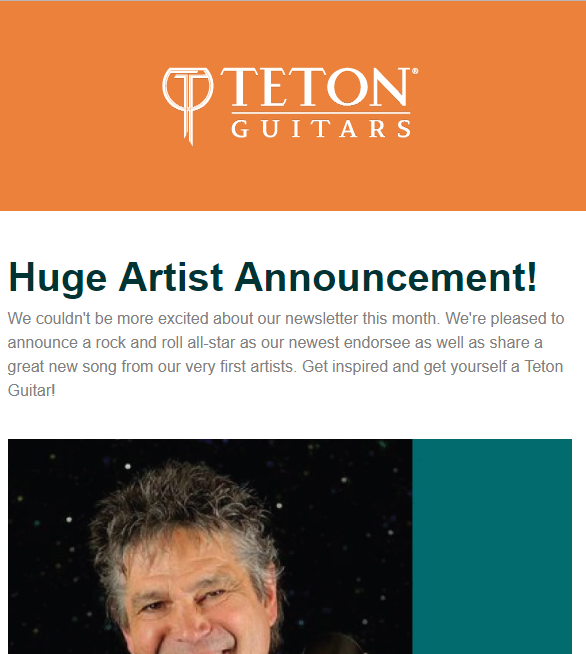 Teton Tuesday News lets the guitar-loving world (that includes you, right?!) 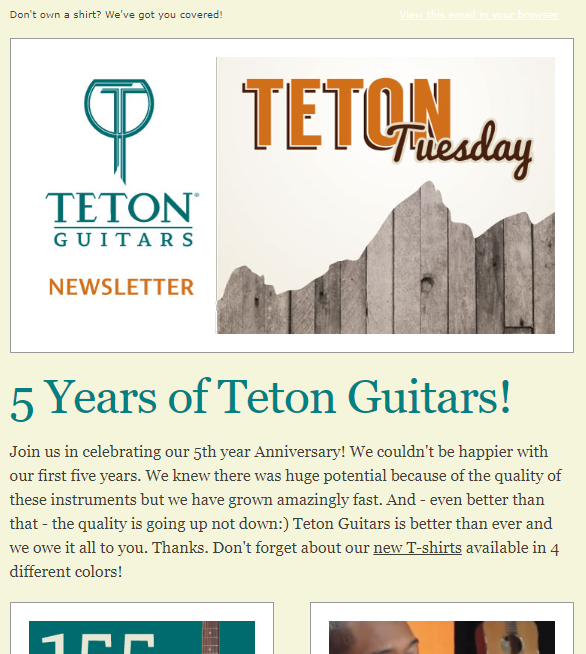 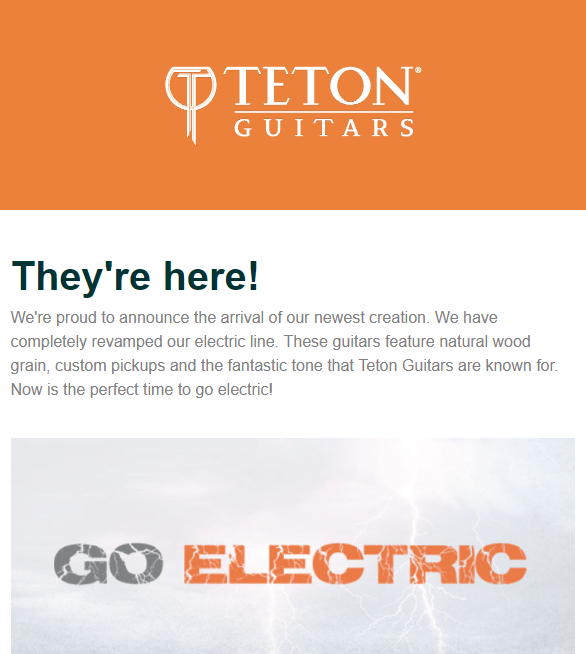 know what’s going on at Teton Guitars. 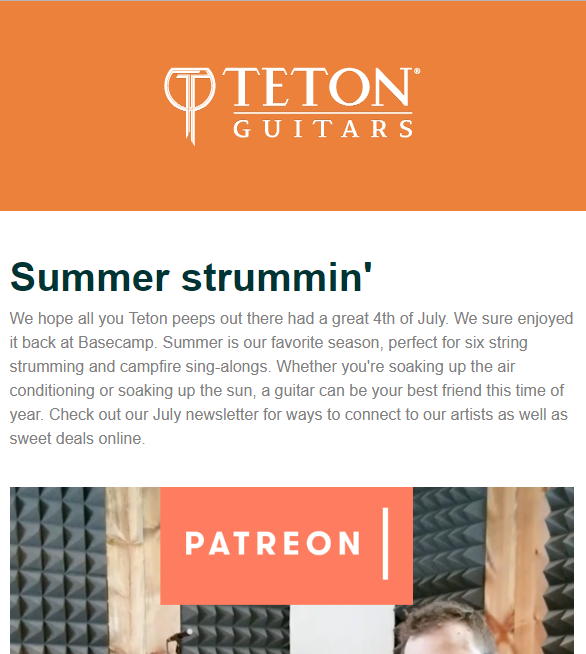 Sent out the second Tuesday of every month, Teton Tuesday News is where we let you know about things like new products, demo releases on Teton TV, Teton Artist concerts, NAMM, and more. 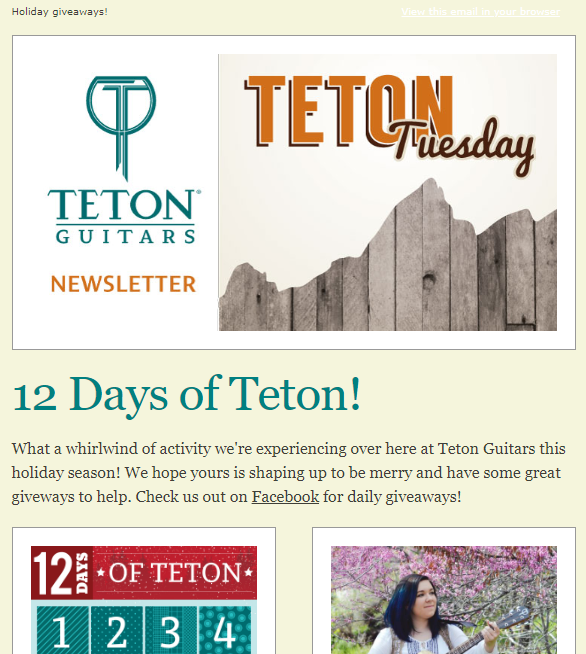 Sign up and we’ll send you more like this every Teton Tuesday!